The evolution of the South Indian temple is a complicated process; and must necessarily be complex. The facts seem to indicate that the temple is the result of a long process of development which spreads over several centuries. The temple, which is invariably associated with gods, had at one time; no connection with them. The original religion of the Dravidians consisted of the worship of ancestral spirits and village gods. It was considerably modified by the contact of the Dravidians with the Aryans. As a result of Aryan invasions of South India, the Dravidian religion was completely Aryanised. The gods of the two races united together and formed a single hierarchy. The temples which were connected with the primitive Dravidian religion became the centres of the reformed religion. 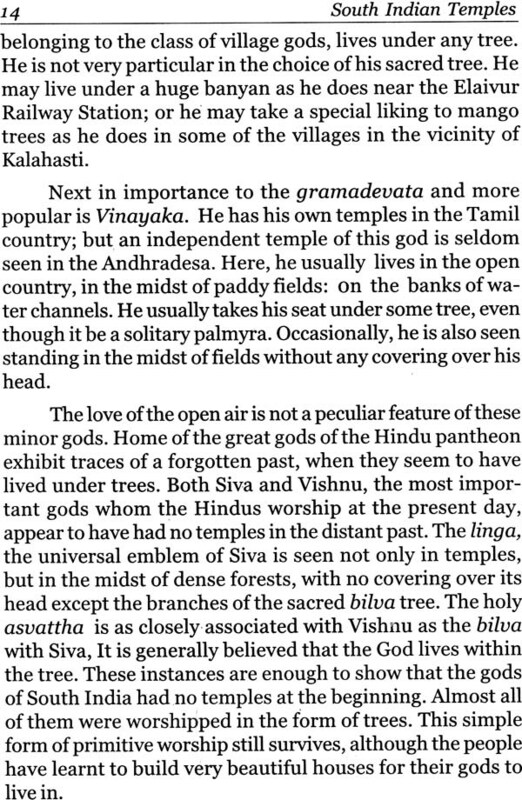 The Aryan gods became thence forward the principal residents of the Dravidian temples. It must be remembered that the amalgamation of the two ancient types would not have taken place I but for the presence of the Aryan element in the reformed Dravidian religion. 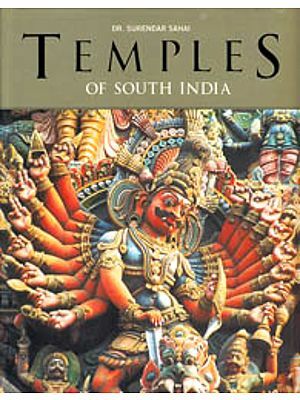 The modern South Indian temple is thus seen to be the result of a long process of evolution. A thesis for a Doctorate in Philosophy must, according to the regulations of the University, either embody new facts brought to light by the candidate, or contain original deductions based upon already known facts. It is difficult to assign the following either to the one or the other of these classes; for it contains a few facts which have been observed by me. However, it may be assigned to the second class, as it is mainly based on facts collected by others. I am also required to say how far the essay is original. I do not claim originality for most of the facts mentioned in the essay. I have duly acknowledged my indebtedness to various authors from whom I collected them. I happened to gather a number of facts on the subject, while conducting an investigation into the origin of the Linga cult. A hypothesis had gradually taken shape in my mind, unconsciously, as it were. 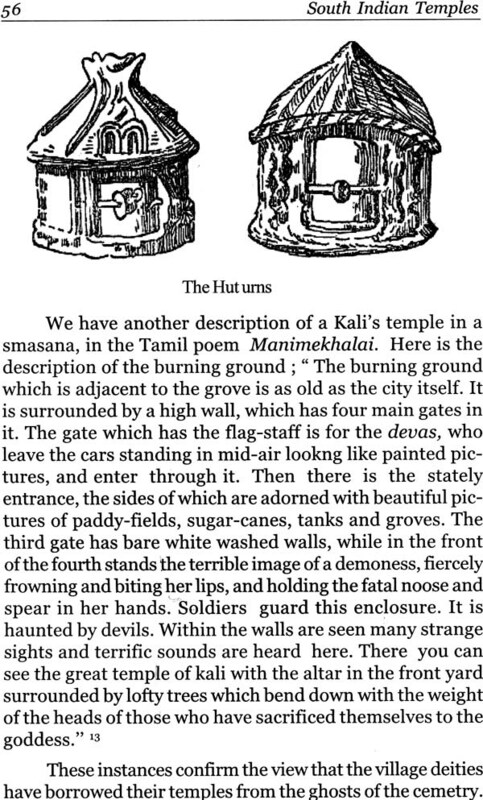 A study of the theory of the origin of the Dravidian temple propounded by Mr. Longhurst (Arch.Rep.I91S-16) showed me the way in which I should conduct the enquiry, The work of tracing the evolution of the South Indian Temple step by step is entirely mine. 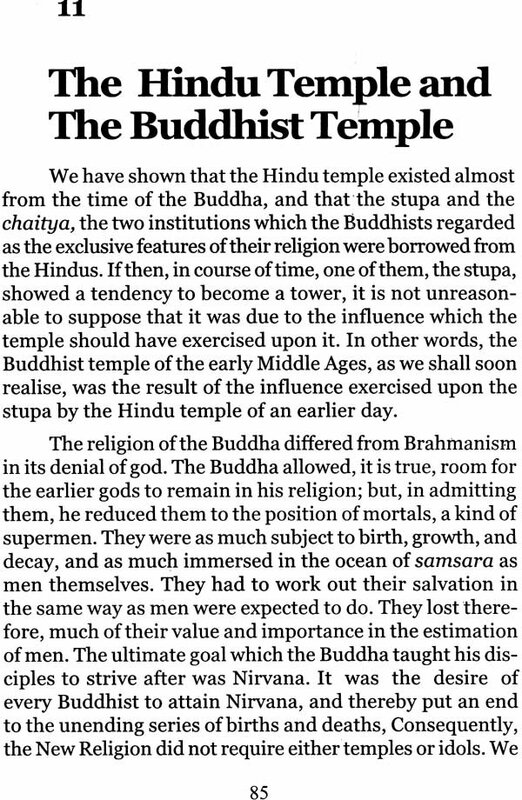 Although I at first accepted the current theories regarding the origin of the Hindu Temple and the South Indian Vimanas, I was soon convinced that in the light of facts that came under my purview, they were untenable. I had, therefore, to go deeper into the matter than I at first wanted. 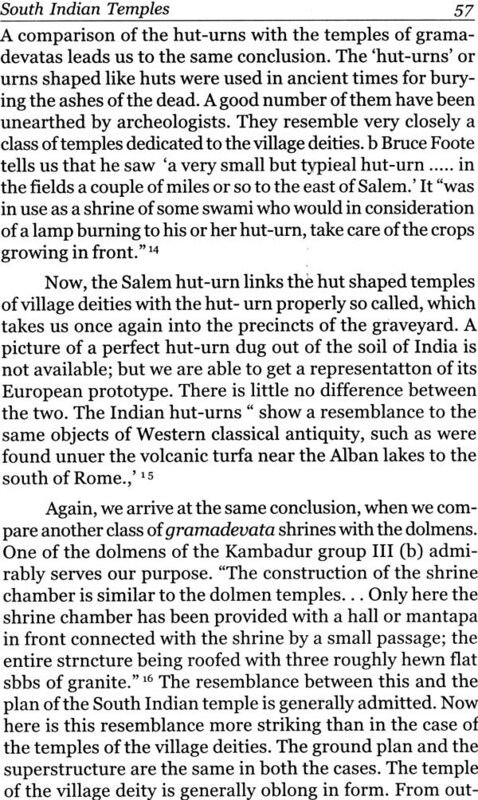 I have attempted to show in the course of my essay that the Hindu Temple was not modelled upon the Buddhist Stupa, but that it existed anterior to the Stupa. 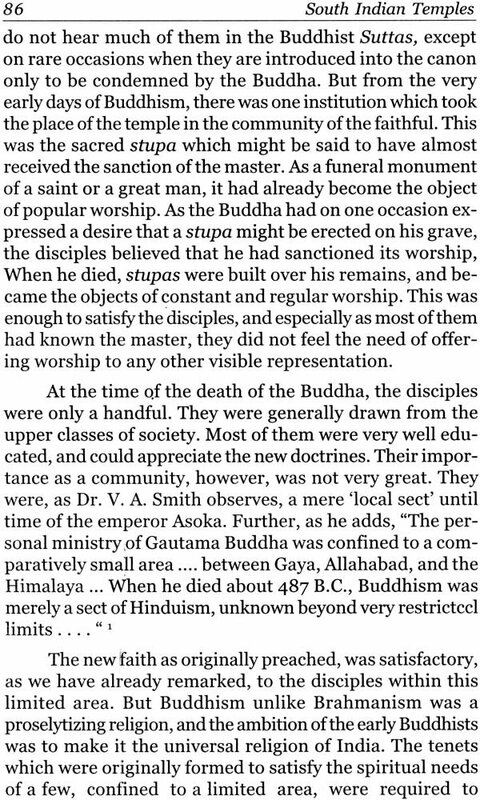 In fact, it served as a model to the early low domical stupa which in course of ages assumed the shape of a tower, resembling a temple Vimana. 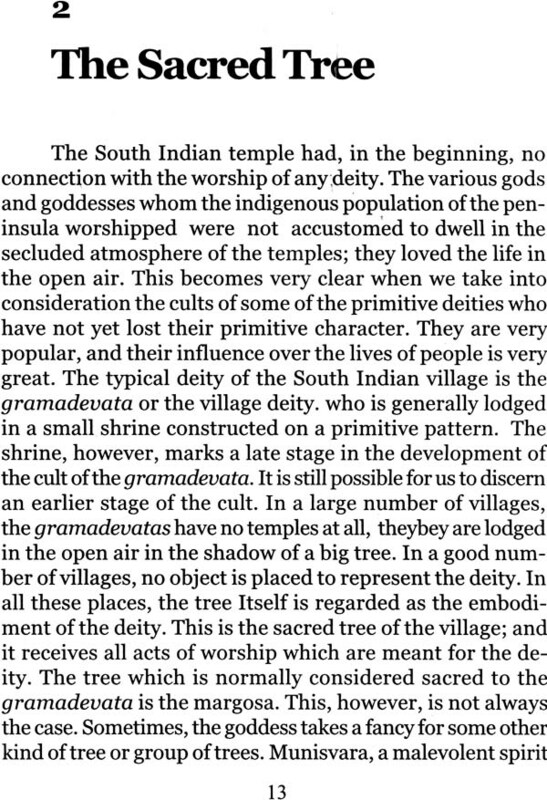 I have endeavoured to show that the South Indian Temple acquired its Vimana, as a result of a number of causes which brought the temple and the Vimana together. All these are the results of my own thinking; and so far as I am aware, I am not indebted to anyone in this respect. I must express my gratitude to the late Mr. A. Mahadeva Sastri, the Curator, the Adyar Theosophical Library for his valuable assistance in lending me books, and suggesting to me fresh sources of information, and to my brother Mr. N. Raghavayya, M.A. for his valuable suggestions and criticisms. I take this opportunity to thank my esteemed friend Mr. K. Narasimhachari who, in spite of his multifarious activities, supplied me with all the diagrams that I wanted for the purposes of this essay. I owe a debt of thanks to my friend Mr. D. T. Subrahmanian, B.A. (Hon. ), Lecturer, Islamia College, Vaniyambadi for compiling the index.